Both CT and MRI show large mass in the lower abdomen of mixed attenuation. The mass that originally arised from appendix extendend into both ovaries. 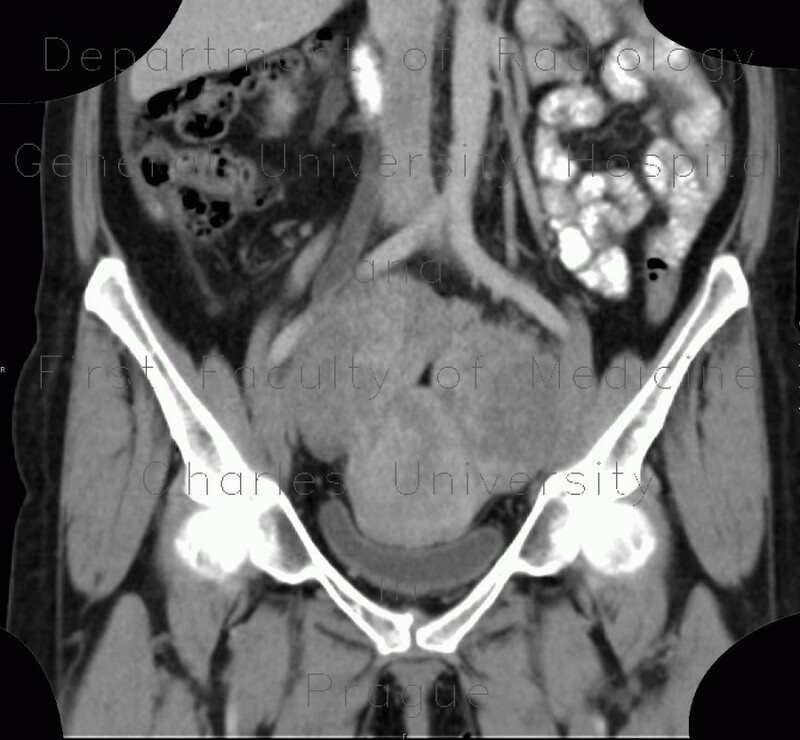 Note also ascites and unilateral hydroneprosis caused by compression of ureter by the mass.